Tekki Nidan and Tekki Sandan: These two kata are more advanced versions of Tekki Shodan. Gankaku: This kata develops balance. 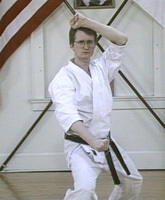 Emphasizes side kicks and strong blocks. Hangetsu: A very dynamic kata. Develops muscular power and internal strength. 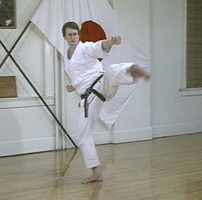 Sochin: A very powerful kata. Teaches strong attacks and in-close fighting. Jitte: Practices defenses against the long staff. Uses many open hand actions. 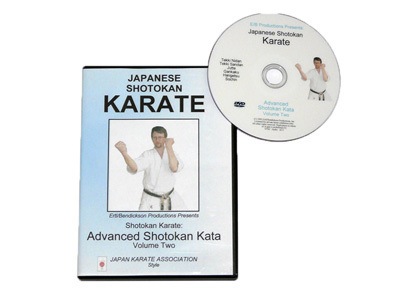 The ADVANCED SHOTOKAN KATA series presents advanced katas in-depth and with detail. 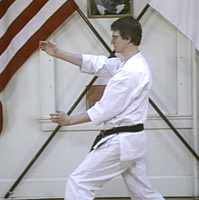 The katas presented in Advanced Shotokan Kata, Volume Two are demonstrated by Sensei Ertl.